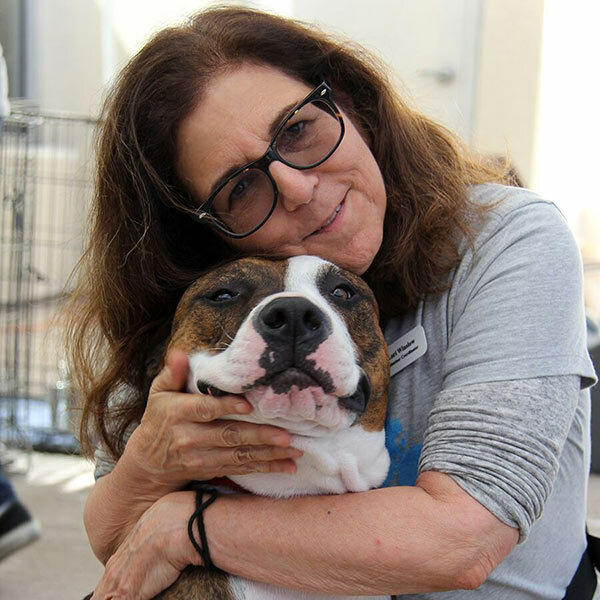 After Lori's son adopted a pit bull puppy in 2013 from a local rescue, she got interested in volunteering and in 2014 started volunteering for NKLA. In the process of volunteering at NKLA, she started researching the various coalition partners which led her to Karma Rescue. The Prison Dog Training Program and Reading isn't Ruff Program are what drew her to Karma Rescue over other rescues and she's thrilled to see these programs continuing and expanding with Paws for Life K9 Rescue along with the Maui's Mission Spay and Neuter Program as while adoption is important, these programs are also key in reaching "no kill" status and saving the lives of dogs that otherwise might not get adopted. Lori is not able to have a dog of her own at this time as her landlord and two kitties, Nikko and Nara would not approve so spending time with her grand pittie, Koufax and the Paws For Life pups is a definite plus! She especially enjoys seeing the pups with their families in their new homes. Lori is honored to be able to see first hand what a "win win" the Paws for Life Prison Dog Training Program is for all involved and proud to be a part of this life changing program. In addition she helps out at adoption events, dog transports, home visits, vet checks etc. Lori is excited to take on the challenging role of the Paws for Life Volunteer Coordinator!